The Dhyana Mudra is shared across several eastern meditation disciplines - most notably, the Buddha is often depicted in this gesture. Although this Mudra is most commonly used and known within Buddhism, it's roots remain within yogic meditation practice. 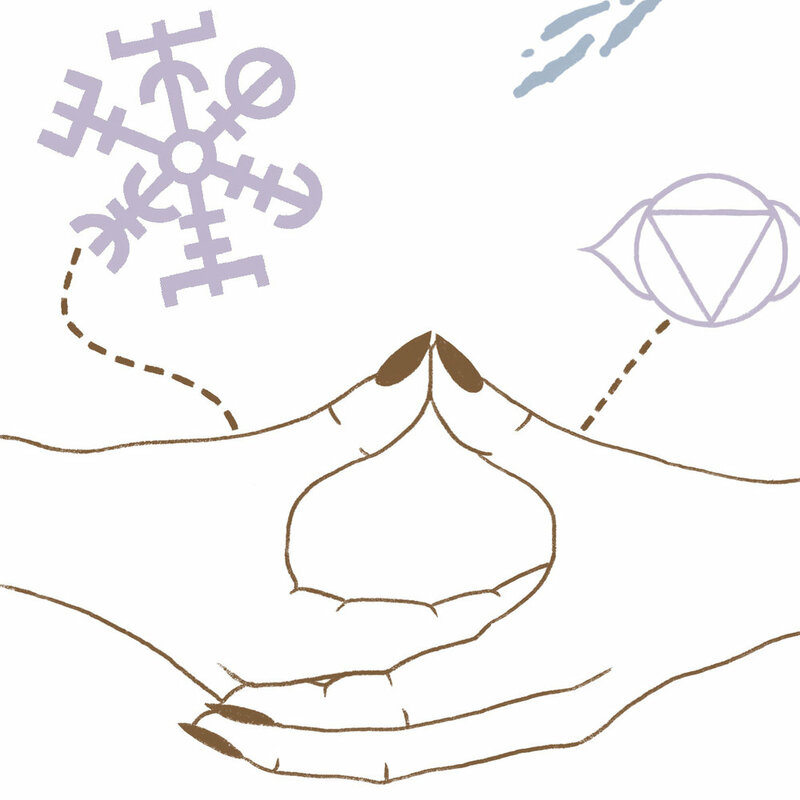 This Mudra aims to bring you into a deeper, more profound state of focus. The gesture can also help to bring tranquility and inner peace to our state of mind. To do Dhyana Mudra, start in a seated position and place your hands in the centre of your lap with the palms facing upwards. For men the back of the right hand should rest on top of the left palm, whereas for women the left hand should be placed atop the right. The connection of the thumbs then serves as a represention of the union of male and female principles present in every human being. In this Mudra the right hand represents enlightenment and our higher spiritual faculties, whereas the left hand represents the world of maya, or illusion.